I found this cogent article by Russell Kirk today titled “The Moral Imagination.” Russell Kirk is kind of one of the two patron saints of Hillsdale College, other bloggers of this website and my alma mater. (The other is Winston Churchill if you were curious.) To emphasize this point, our Western Heritage readers both begin and end with Russell Kirk. This is an article written about what purpose poets and novels should have in their writing, which is to form the moral imagination. Enjoy! There have already been plenty of reviews of The Hobbit: An Unexpected Journey; and so, I would like to avoid writing another review of this spectacular, action packed, hard-hitting, fantastic, and mesmerizing masterpiece filled with beautifully epic scenery, scintillating armor, and exquisite weapons which you absolutely must see otherwise you shall go to your grave regretting it. Instead, I would like to concentrate on how relevant The Hobbit is to our day and age on the topic of courage. I remember reading a certain document which told the reader that one can become courageous through mortification, self-control, poverty of spirit, and hard work. To an extent this is true, but how often do we find people possessing these traits who hesitate at the critical moment, thus passing up an opportunity to show this virtue? This lies in the fact that the above qualities really perfect fortitude, which has a connotation of passivity: one with fortitude is great at resisting and refusing temptations. Yet, the other side of this coin, the active side, requires something more–especially since the penalties for acting courageously are often more severe than those which fall on a person for fortitude (death, for example). Most moderns have many ways to practice fortitude, but few occasions for the practice of courage unless one happens to work in a dangerous occupation. This makes moderns especially more timid than preceding generations; however more compassionate modern man seems to be. What finally draws him into this adventure? The movie seems to harp on the fact that part of Bilbo’s family, the Took side, was very courageous; therefore, it was somehow in his blood to perform noble deeds. But, as an enlightened American, I don’t believe that having a good bloodline is sufficient. Rather, the heroic sentiments instilled in him by Gandalf motivated him to leave everything familiar and comfortable in order to begin this journey. Gandalf told Bilbo about how, during a famous battle, his great-great grandfather knocked off the head of a powerful goblin with a club, implying that Bilbo ought to live up to the nobility of his ancestors! Also, partaking of the company of the dwarves and being influenced by their values effected this change. Having a heroic imagination is the final thing necessary to those attributes mentioned at the beginning of the second paragraph in order for one to have courage. Unlike Bilbo, no one invites us to slay dragons or go on adventures–unless we are invited to join the military or visit a violence enshrouded foreign country as a missionary. Therefore, we need other ways to instill heroic sentiments in us. As Aristotle said, no one can even be good unless they love good actions. Likewise, how can one even be courageous unless he loves deeds of valor? This is where novels and movies like The Hobbit and especially historical works showing the deeds of brave men have great value in forming character: they inspire us with these sentiments so that we may seize opportunities for showing courage. *spoilers coming* Indeed, we ought to have thrilled to Dwalin smiting orcs and wargs with his battle hammer, Thorin Oakenshield valiantly resisting a much stronger opponent until lopping off the orc’s arm, and Gandalf and company cutting themselves out of the Orcs’ stronghold. *end of spoilers* Joy in hearing of such deeds and the desire to show ourselves brave allow people of self-control, mortification, poverty of spirit, and diligence to shift from their usual, passive fortitude into active courage. Too often in the modern world, heroism is lampooned, mocked, and relegated to the days of yore. How many of my dear readers have read Sir Walter Scott? Mark Twain used to deplore how this author “warped” the minds of so many Southerners through imbuing their souls with chivalric ideals. But we see the effects of chivalric imaginations most clearly in the Civil War. 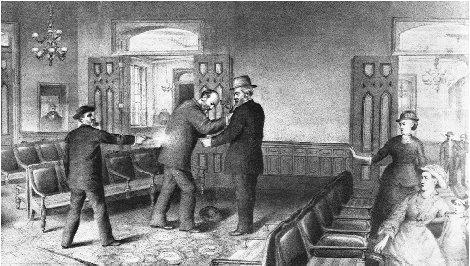 Where else has a civil war been carried out with such unparalleled gallantry? How many other wars have given us so many examples of great-souled men? The modern literary project has mostly centered on describing how men are rather than how men ought to be. Some people even deride certain works where characters have no flaws as being more like children than adults. But, I think that a greater calling for an author is to show men how they ought to be rather than their current state of weakness and sinfulness. At least, one ought to show people examples of how characters overcome their weaknesses to be more perfect. We need more Homers, Livyes, Mallories, Scotts, Tolkiens, Chestertons, and Lewises in this day and age so that modern men may at least carry heroic sentiments in their breast. I would like to end by saying how important courage is in the highest Christian virtue: charity. It is difficult to love if one fears, “perfect love casts out fear” (Jn 4:18). The founder of Aikido, Morihei Ueshiba, picked up on this when he said: “Loyalty and devotion lead to bravery. Bravery leads to the spirit of self-sacrifice. The spirit of self-sacrifice creates trust in the power of love.” Ultimately, it is our trust in God, that He is our Loving Father, which perfects love in each one of us. Our Lord, while always retaining the fullness of every virtue, may be said to have modeled such a path: His devotion and loyalty to His Father led to Him bravely denouncing the hypocrisy of the Pharisees and scribes, His bravery led to Him sacrificing Himself for us on the Cross, and this sacrifice allows us to have perfect trust in God and love for Him. Well, it’s about time that I write a post; but, I have the misfortune to confess that such great ineptitude is imbuing my writing that I feel embarrassed to write at length. So, taking a cue from two of our other writers, this post will mostly consist of another’s words. 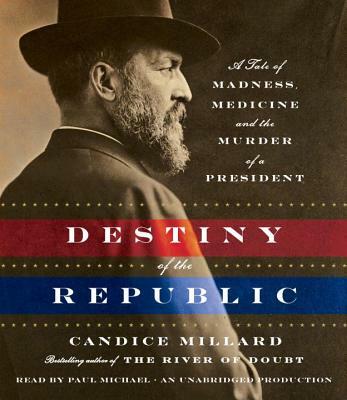 I had the pleasure to finished reading Candice Millard’s masterful work titled Destiny of the Republic, which delves into the details and individuals surrounding James A. Garfield’s assassination. 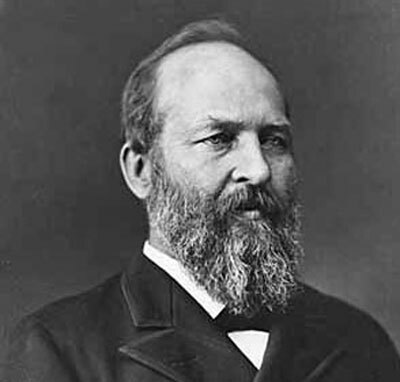 James A. Garfield character created a powerful impression on me, reminding me of my childhood hero, Theodore Roosevelt. 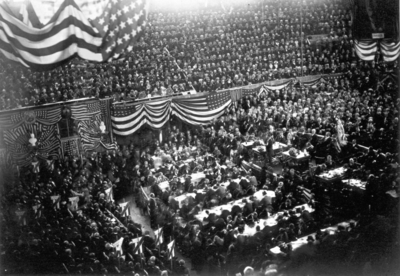 Unable to fulfill my wish of writing an article on this sadly forgotten president, here is a link to James G. Blaine’s eulogy. I hope that everyone finds reading about Garfield’s character and accomplishments worthwhile. Happy Independence from British Tyranny Day!